A group of parents waiting with their kids at at the bus stop for Bach Elementary in Ann Arbor said things are improving, especially class sizes. 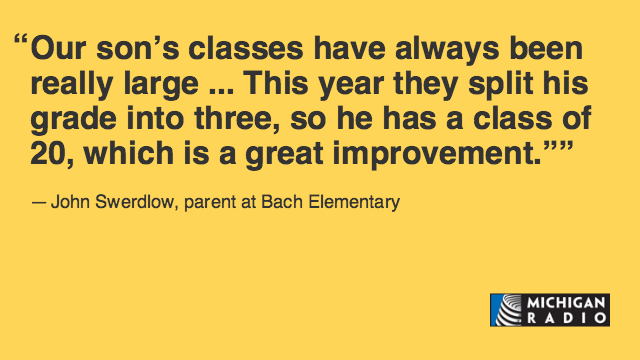 "Our son's classes have always been really large, 27, 28, and this year they split his grade into three, so he has a class of 20, which is a great improvement," said John Swerdlow. Tracy Beason agrees. She and her husband had actually been talking about private school if things didn't get better. "My son was struggling just getting teacher time. A class of 30 is beyond ridiculous," she said. Kristen Hug thinks state funding for K-12 needs boosting. "Education is just super important, and we need to make sure we're supporting that as much as we can." 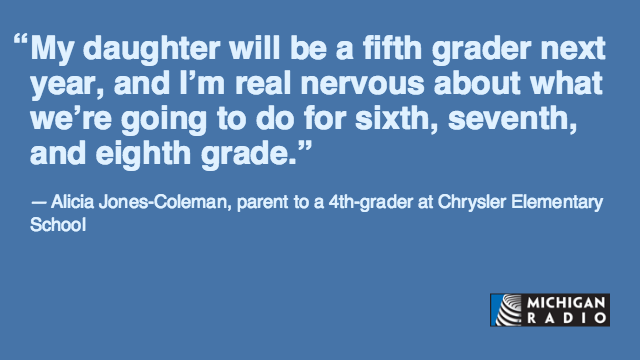 At Chrysler Elementary in Detroit, parents appreciate the benefits of the small magnet school, which has only one class per grade level. “Chrysler elementary is a unique school, " said Solmon Foster. "It’s a neighborhood school, but you have parents who are more like a family. 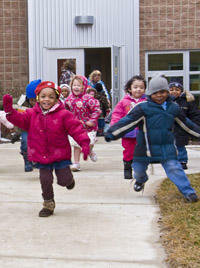 By being a smaller school, the kid and the parents know each other, they go from grade to grade together." Denise Hytower's grandson is in his first year at Chrysler. “I’ve heard great things about it so I’m expecting great things," she said. "I just want to make sure that the schools are staffed adequately. I am concerned about that." But Foster said the school is off on a better financial foot this year thanks to support from Quicken Loans. 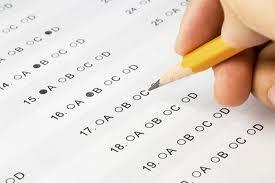 The mortgage broker has helped in non-monetary ways, providing landscaping and tutoring. 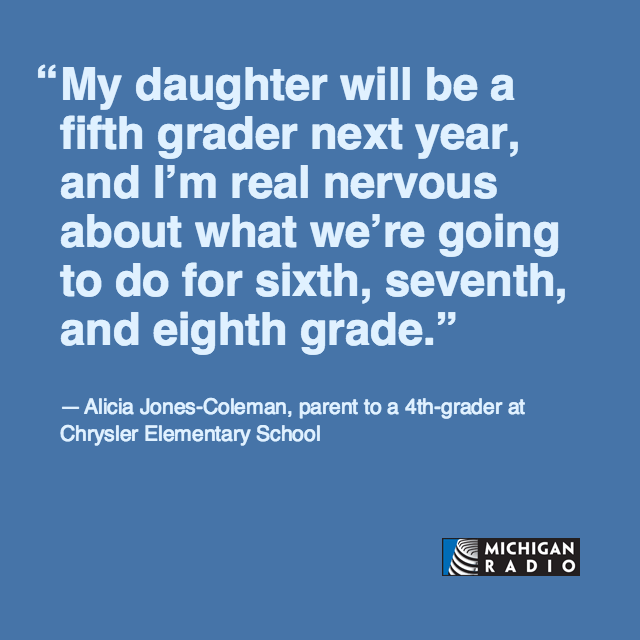 Alicia Jones-Coleman wonders what will be best for her child after elementary school. 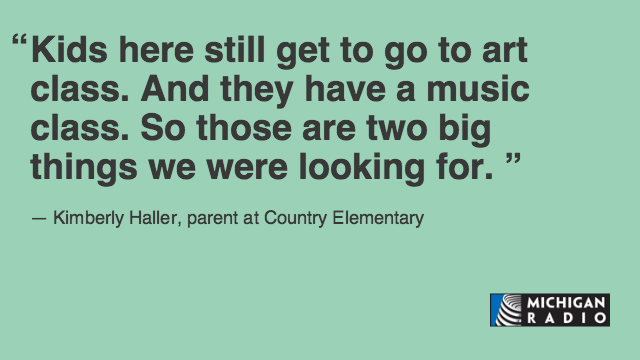 At Country Elementary school in Pinckney, parents were concerned about the material their children were learning. 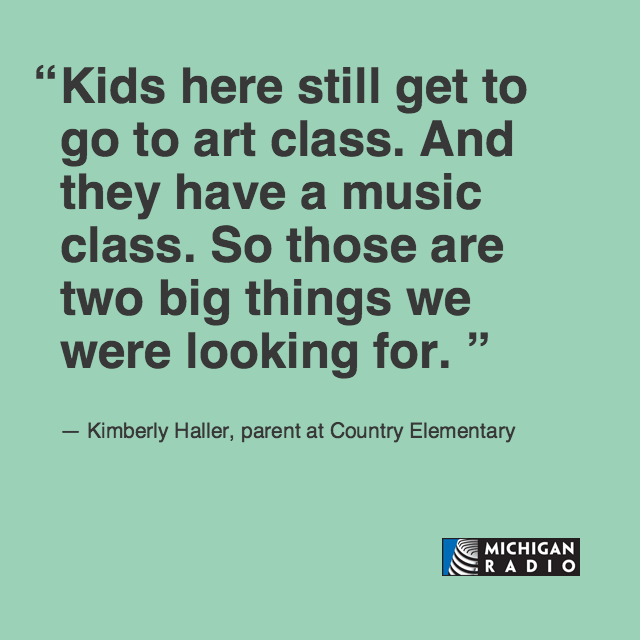 Kimberly Haller, whose son is starting kindergarten, said she's glad the school still offers a variety of classes – especially art and music. "Those are two big things we were looking for to make that he still has that well-rounded education, where he gets to experience a bit of everything. Those are getting cut in so many schools,” she explained. Andrew DeLong’s daughter is starting first grade. He wants to see more writing instruction. What changes are you seeing at your school? Tweet at us @michiganradio or find us on Facebook. 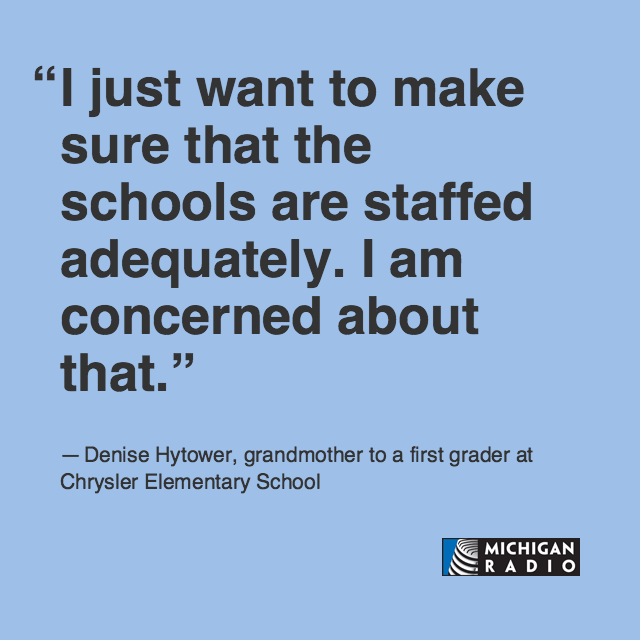 What's in the new Ann Arbor teacher contract? The one-year contract gives all teachers a small pay bump, and the union and the district agree that teachers have now gotten most of the back pay they were promised when they took previous wage cuts.